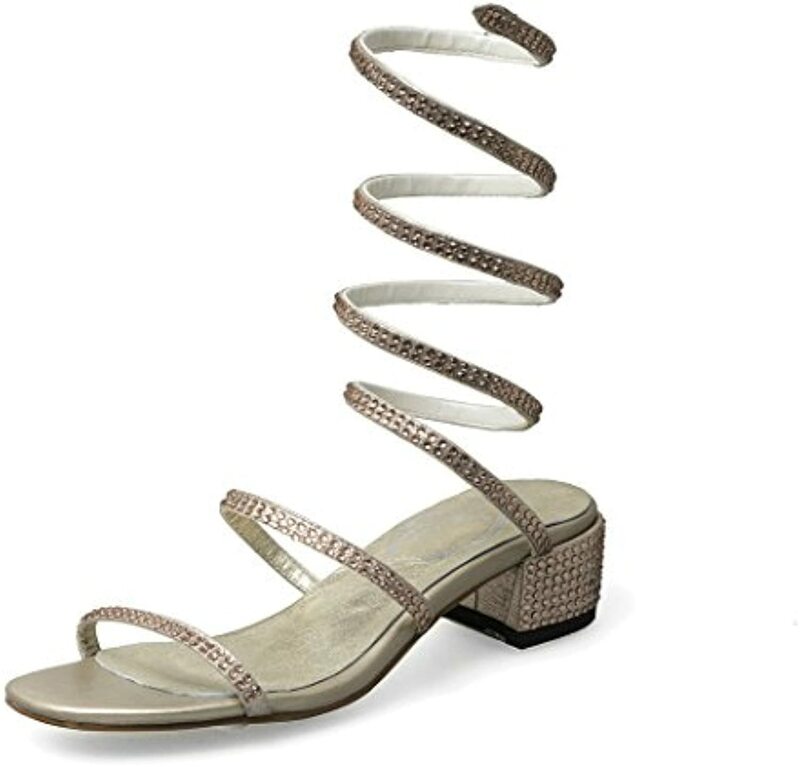 Snake embossed faux leather upper in a dress sandal style with a round open toe, rhinestone accent around ankle wrap. 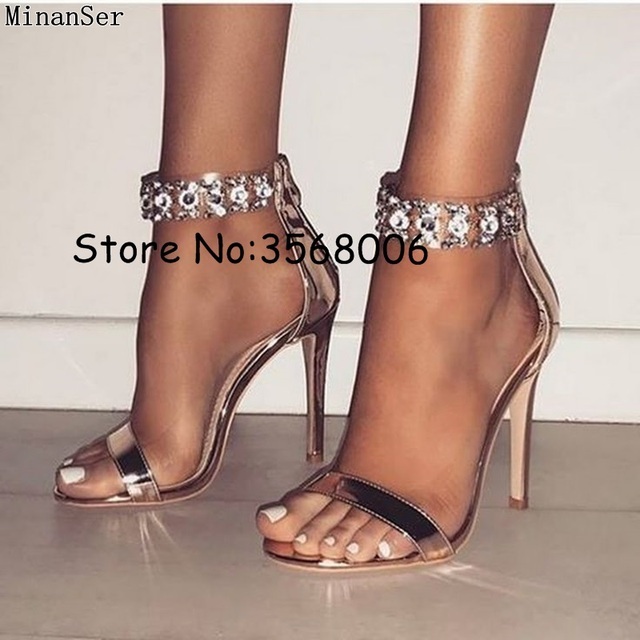 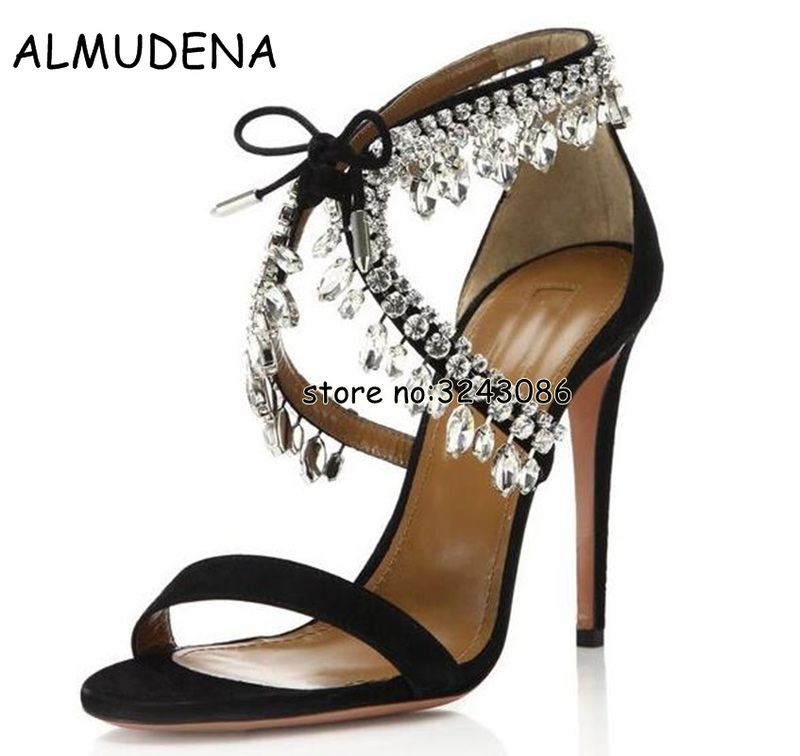 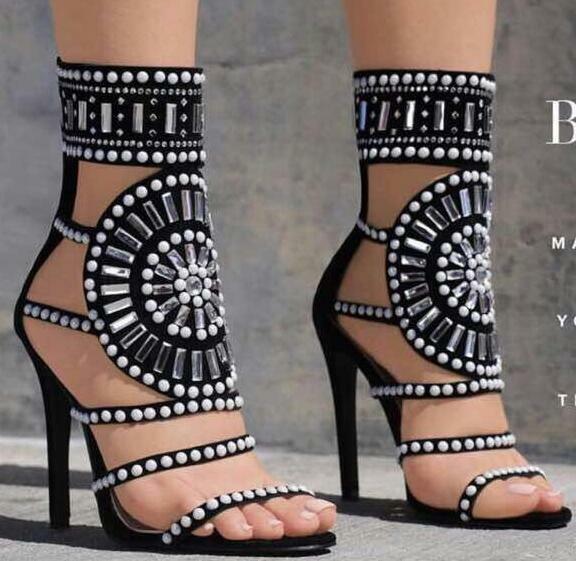 JJeweled high heel sandals. 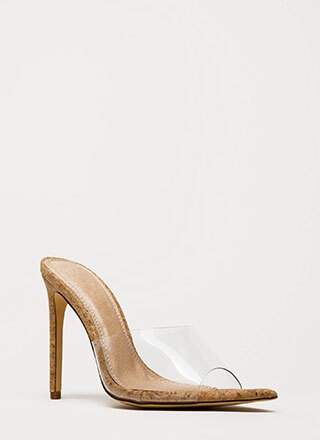 Heel measures approximately 5 inches with a 1.25 inches platform. 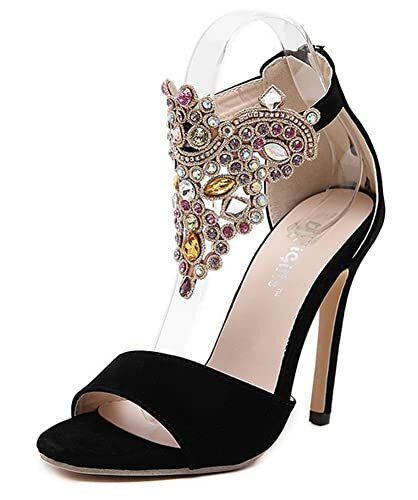 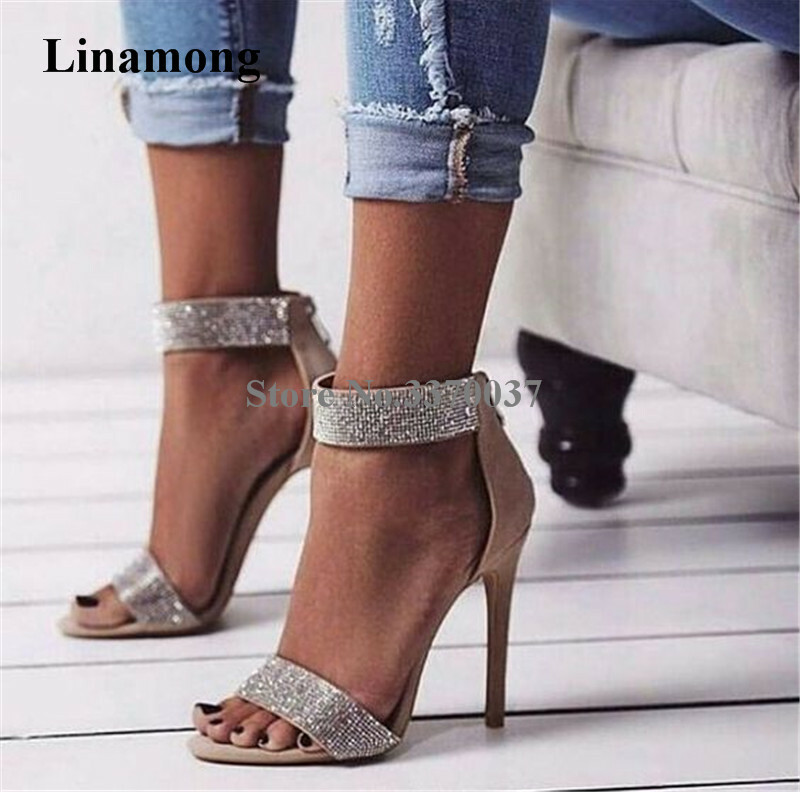 Jeweled high heel sandals. 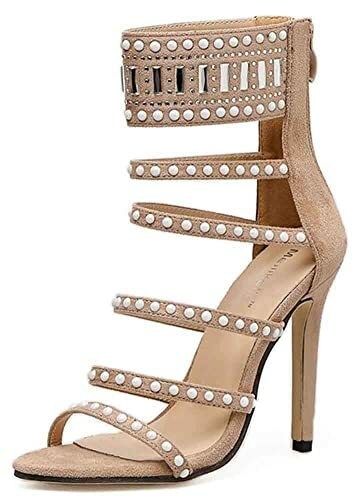 Heel measures approximately 5 inches with a 1.25 inches platform.